Third complaint on this property. Homeowner only mows a few times a year. Front yard issue reported last month was never resolved as the weeds are over a foot tall and tree waste and fence panels are still out front. Dead standing trees in front and back. Backyard is a haven for vermin. Stacks of brush, pallets, and weeds are two feet tall. Your request to Houston 311 has been accepted. Your service request ID is #339787. 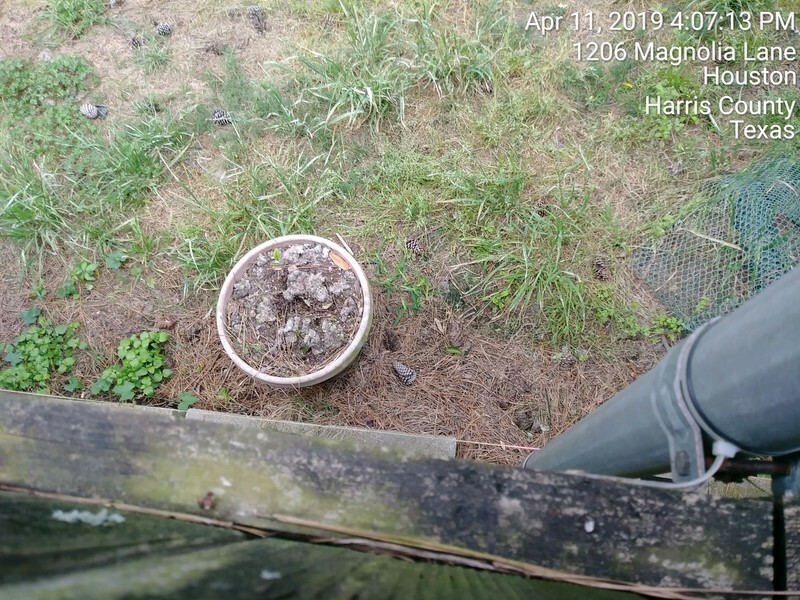 Yes, that is poop in a planter next to the fence. Your request to Houston 311 has been accepted. Your service request ID is #339689. Your request to Houston 311 has been accepted. Your service request ID is #339635. Your request to Houston 311 has been accepted. Your service request ID is #339631. Your request to Houston 311 has been accepted. Your service request ID is #339630. Need a Dont Block the Box or similar sign on Forest Way. Your request to Houston 311 has been accepted. Your service request ID is #339086. Work Order Completed in Infor by 103348 on 2019-04-15T06:27:05.000-05:00 with comments - Sign Not On Record. Need To Refer To Work Order Management. Who refers to Work Order Management - You or me? If it is me, how do I contact them? I know there is no sign there currently (your comment Sign Not On Record), that is why I am requesting the sign. Your request to Houston 311 has been accepted. Your service request ID is #339395. Fallen tree is completely blocking the view to turn left into westbound traffic. Your request to Houston 311 has been accepted. Your service request ID is #339487. Your request to Houston 311 has been accepted. Your service request ID is #339393. Regularly scheduled curbside pickup was not completed on Tuesday. Recycling can is still full by road. Your request to Houston 311 has been accepted. Your service request ID is #325228.